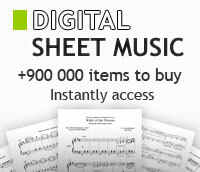 Harold Arlen - Voice, Easy piano - sheet music books scores (buy online). Lyrics by E.Y. "Yip" Harburg, music by Harold Arlen, arranged by Dan Coates. Songbook for voice and easy piano. From the motion picture "The Wizard Of Oz". 32 pages. Published by Alfred Publishing.